Whowhee, where did the summer go? Kinda feels like I didn't even see it.. It's all rainy and cold. Not that I mind a little rain. Me, I have just been working... It's really starting seriously affect my mental health though. I do cry in the mornings when I realize I have to leave for work now. 5 days a week of pure depression, how nice. Just... 10... more... workdays... to.. go.. GNNGGHH. I can do this! Hopefully the blogging rate will increase too when I get out of there. I so adore this shirt I got a while ago! I have been admiring this punk rave shirt on ebay for a good while now, and I finally decided that I need to have it. It has a matching jabot that comes off! 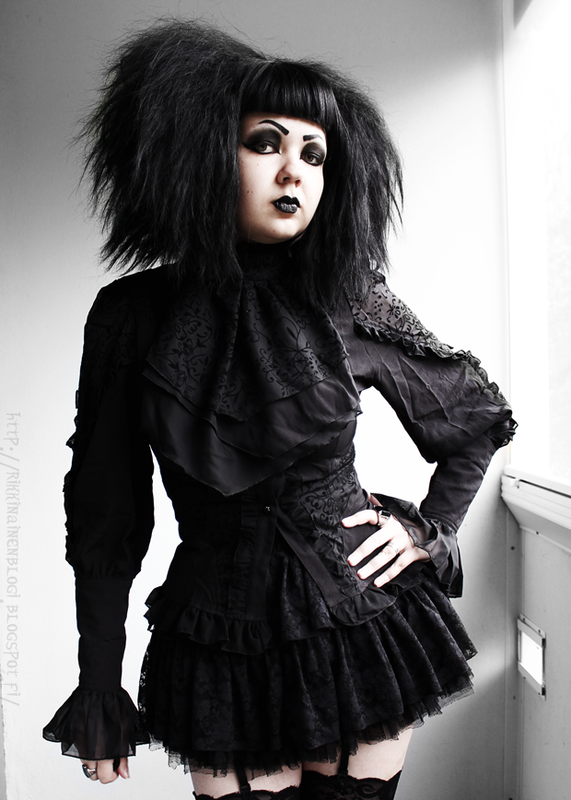 The shirt looks really amazing even without the jabot, and it's great that you can use it with other clothes too. I bet this shirt would look divine with a long skirt as well! Have to try that next. 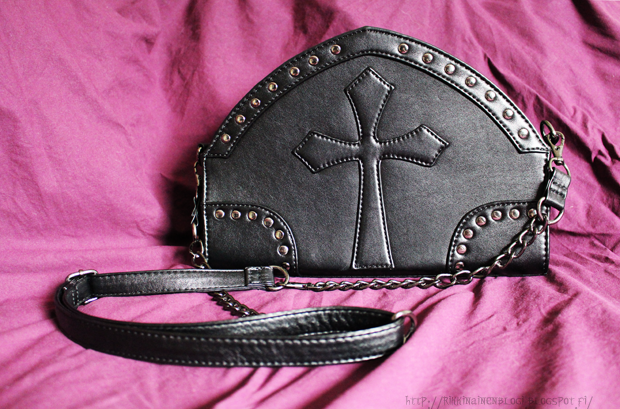 Also a thing I got a while ago is this bag from Banned! I just love how it reminds me of a tombstone.. It's actually quite a decent size so I can fit a lot of crap in it. 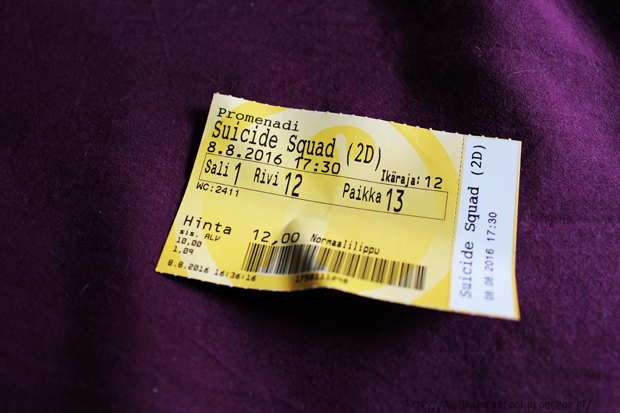 I wore that bag when I went to see the Suicide Squad as well! The movie was pretty good. There wasn't really anything too surprising but I just loved Jared Leto's performance as Joker. There wasn't much of him in the movie but it's okay. Since you know, it wasn't Joker's movie. Before the movie we went to this cool shop we have here in Pori. They sell used and unused dvd's and games. But they also sell all sorts of very cool decor, like skulls, dragons, dolls... etc. I had not visited this store for a very long time and it was a burst of joy when I got the see what they have to offer these days! 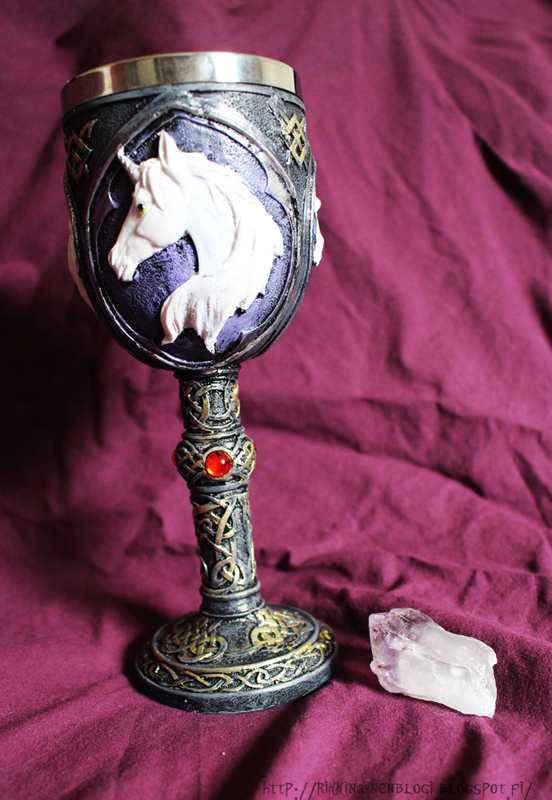 All I got for now tough was this unicorn chalice, which is amazing still. But I assure you I will be going back for more. The little crystal isn't from that store, it's from a "Jewel Gallery"Jalokivigalleria. Last week I went to Loimaa with my dad and brother and I was delighted to see that they had this store at some gas station, haha. When in Loimaa I bought these CD's from a swap meet event. Joy Division's Unknown pleasure and Still. 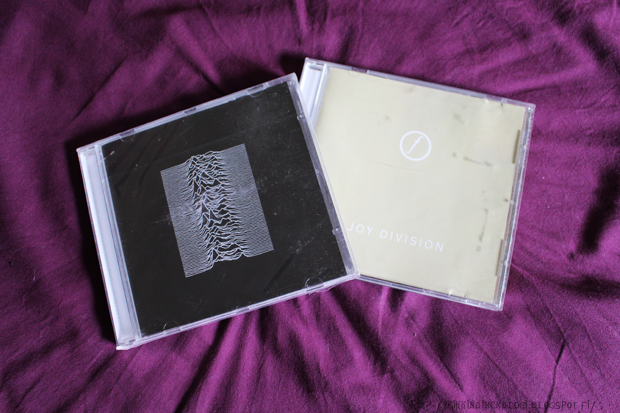 The unknown pleasures is still in it's plastic wrapping and I am kinda reluctant to remove it for some reason. And yesss. Some Digimon in the middle of all the Pokemon. I had been longing for this game for months but then I finally found it at a decent price and it came with me. I do have to say I love this game so far! 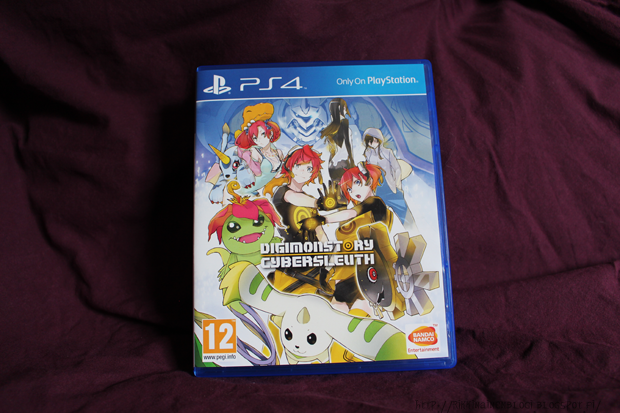 The story is pretty interesting and so so many digimon oh gosh! Voihan kökkö..harmi että duuni tuottaa noin paljon ahdistusta ja masennusta. :/ Fightoo! Ei ole paljoa jäljellä! Voi vitsi tuo pikari vai mikä nyt on, aivan mahtava. Kaikki hämyiset kaupat on mahtavia löytöpaikkoja penkoa ties mitä! Joo onneksi ei enään paljoa, ehkä sen ajan juuri selviän! :-D sometimes the best thing we can do is treating ourselves a bit! And well, you do look great!